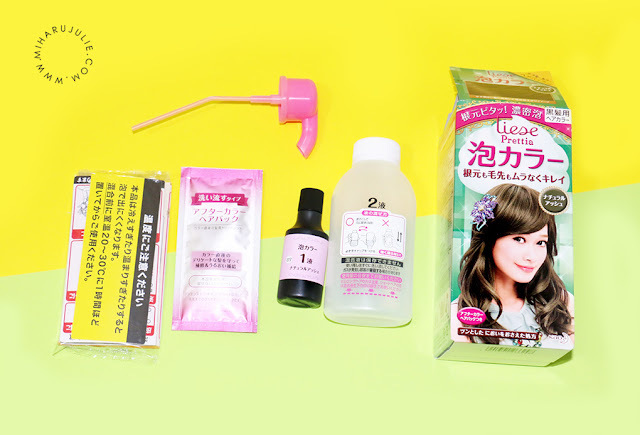 I'm dyeing my hair today with KAO's Liese Prettia Ash Brown! 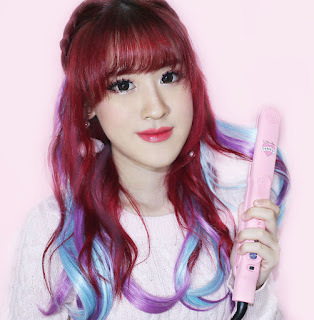 KAO's Liese Prettia is Japanese brand and it's new type of permanent hair coloring which uses foam instead of tradition liquid dye. The color I choose is Ash brown, were not very bright so when my black hair roots grew, it wasn't very obvious. Hence, I don't really mind and let it be..
Open the #2 bottle and the #1 bottle. Pour #1 inside #2. Put the cap on #2 and gently turn the bottle 180 degrees up and down. Only six times maximum. Replace the cap with the pump nozzle. (Apparently there's a part inside of it where you can break it if you wish, I do not recommend doing that because inside the nozzle is the netting that creates the foam). Squeeze the body of the #2 bottle and you get foam! Apply to the hair and begin! Super easy to do that and the smell from the bottle smells really good. The tricky part though is the inverting the bottle instead of shaking it. I think some make that mistake and they don't end up with no foam. One of the reason why I love using Liese is because it's extremely easy to use! 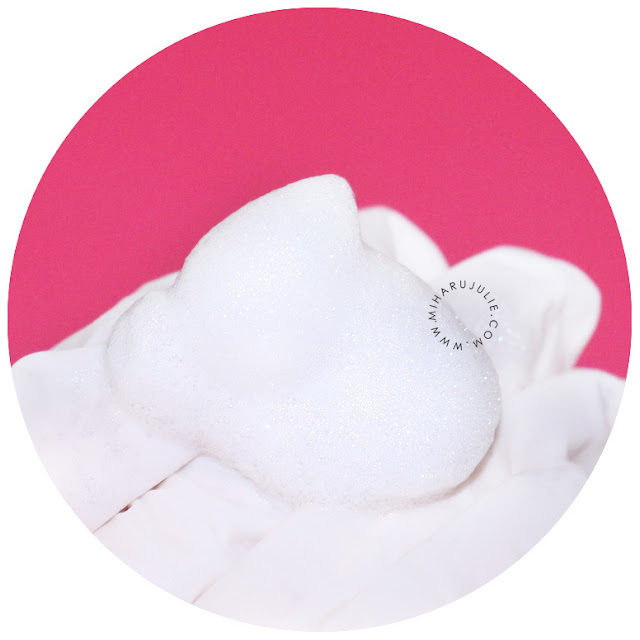 Basically, you squeeze out the dye and it comes out as colour bubble foam, which you massage them all over your hair and scalp (like shampoo-ing). Overall, I cannot say that I love this color, as I already have a favorite color. However, I like it a lot! I'm happy with the results as my hair turned out lighter than I thought. Some brands make my hair turn orange in the sun, while Liese doesn't have this problem. My hair doesn't look damaged after using this hair dye. The honey rinse-off treatment made my hair even more silky and smooth. I like the fact that my hair looks quite bright after dyeing. Kak, tips how to bleach for virgin hair dong. 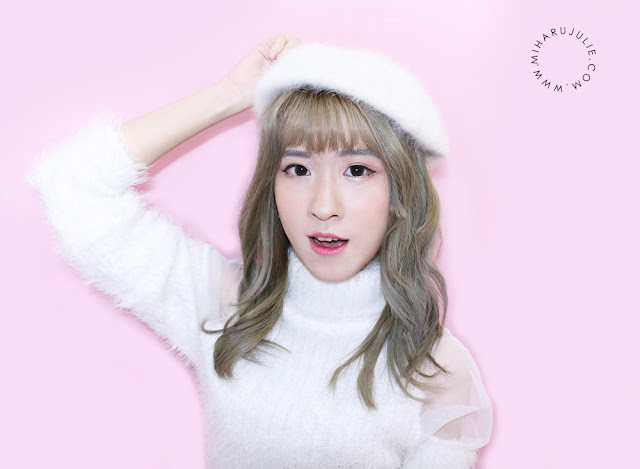 Aku pengen warnain rambut tp rambut asli item abis, warna apa aja ga keluar kayanya. Hehe. tapi itu 1 kotak isinya dikit banget.. mending bleach di salon aja..
untuk liese ash brown ini tahan brp lama ya dirambut? cepet hilang ga warnanya? 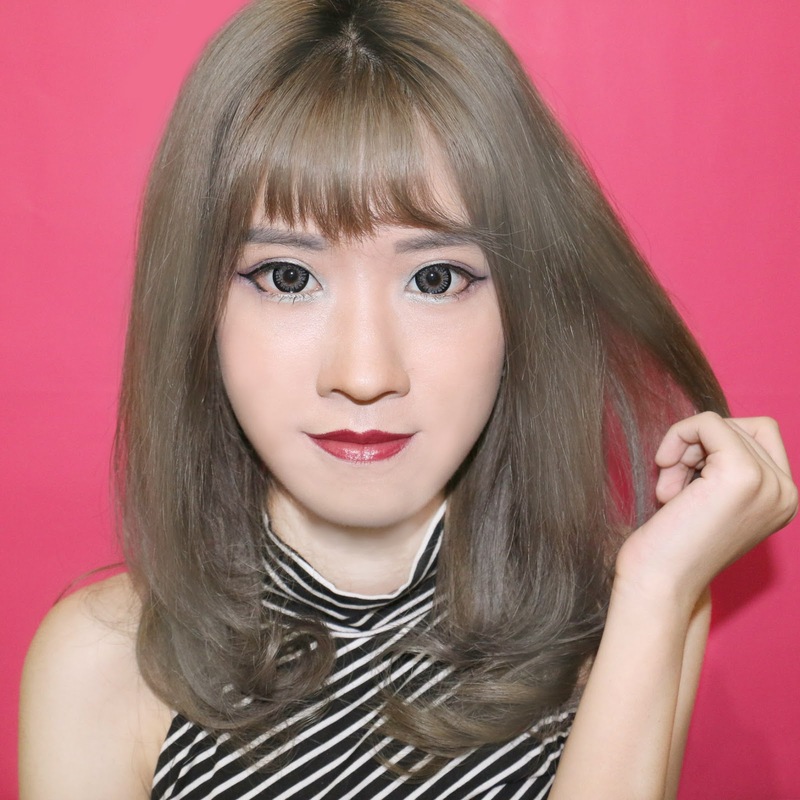 untuk liese ash brown ini tahan brp lama ya? cepet hilang atau ngga warnanya? ?